The perfect engagement ring is achieved with the combination of high quality diamonds and expert jewellery craftsmanship, all made to order to suit your personal requirements. Classic and timeless designs that are crafted to make your chosen diamond take centre stage. 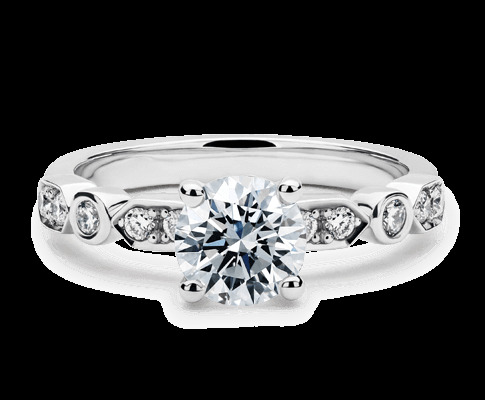 The subtle addition of a diamond set band will accentuate the beauty of your diamond. Inspired by decades past, this collection is filled with the intricacies and style of yesteryear. 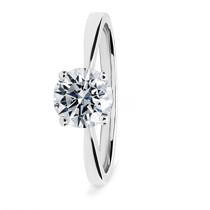 A diamond surround to beautifully complement your central diamond with breathtaking results. This graceful enhancement of your chosen diamond gives an additional diamond on either side. our 7Cs to help you find the perfect diamond ring. 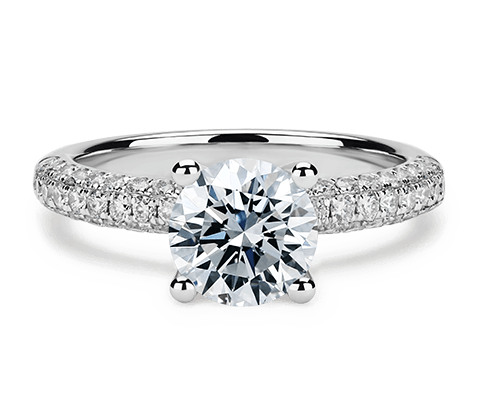 The quintessential engagement ring features a single solitaire ring set in an elegant metal band to highlight your chosen diamond. From tapering shoulders to knife edged bands, our collection will help you find the perfect one for you. 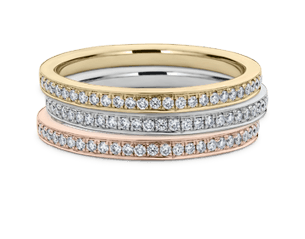 With delicate side stones to complement the beauty of your chosen stone, these rings encapsulate the tastes and styles of the modern-day woman whilst giving additional sparkle that will see your ring be the centre of attention. These vintage inspired engagement rings are influenced by the styles of yester year. Featuring ornate and decorative designs from floral details to twisted bands, whatever the style preference, we have something for everyone. This collection of halo rings provides a glittering surround to your central diamond in an array of styles. From gentle sparkle to intricate design, we’ve created a collection of jewellery that will flatter all shapes of and sizes of diamonds. A selection of rings where your selected diamond is supported by two beautiful side stones. With pear shapes, baguettes, round diamonds and even gem stones to choose from you will find the ultimate symbol of love for your beloved. Whether you have a particular design in mind, or would just like to make amendments to one of our existing rings, contact our bespoke design team to help you craft your perfect ring using sketches and the latest technology prior to casting and setting. 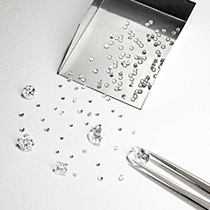 Largest Selection of Diamonds Online. For over 500 years, engagement rings for women have been a staple part of any proposal. They are a symbol of love and dedication from a man to a woman. More recently, to reflect a more equal society, engagement rings have become popular for men too. They’re also often worn by both partners in a relationship, not just those who have been proposed to. 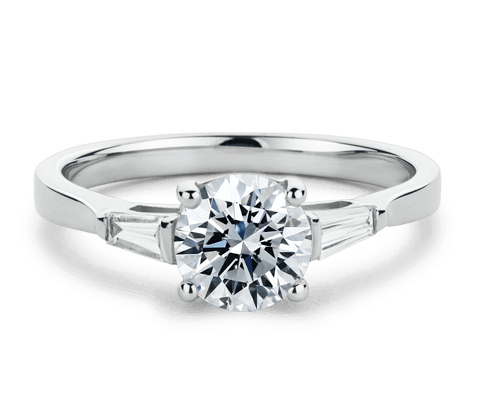 Our collection features a wide range of the best engagement rings from Halo to Solitaire, including trilogy bands and diamond rings too. We also provide the option for bespoke designs, granting you a touch of individuality, helping make your proposal perfect. But first, there are plenty of questions you’ll no doubt need the answers such as how much you should spend, how to find the right size and how to find the best price. What does an engagement ring symbolise? Traditionally, they were given by a man to a woman. The woman would then wear the ring from the time of the proposal to show that she was dedicated to a man for life. Put simply, it meant she was no longer the property of her father but another man. This is clearly outdated, but the notions of dedication and lifelong love have lasted. To make engagement a less one-sided affair, many couples now choose diamond engagement rings for both partners, and they’re also popular for non-heterosexual proposals. The ceremony of marriage is something everybody should get to experience, regardless of their belief system or sexuality – that’s why engagement rings, and wedding bands too, are available in a range of styles and designs ready for every requirement. There are plenty of myths about how much you should spend on an engagement ring. Most people have heard of the ‘two-month salary rule’ which, as the name suggests, states you should spend two months’ wages on the ring. If you can afford this, great. If not, it’s worth knowing that this so-called rule actually stems from a 1950’s marketing campaign. A quick google search will introduce you to a number of other rules for buying engagement rings. There’s a so-called rule which states the buyer should spend the same amount as the initial purchase on his or her car. Others use the age of the person being proposed to, stating that if your partner is 32, you should be choosing a 3.2-carat ring. More shockingly, there are some who say the ring price should match how ‘attractive’ your partner is. Clearly, these made-up rules are not worth your consideration. More importantly, they aren’t based on anything other than hearsay. So, the best engagement ring isn’t always the most expensive. And a cheap diamond engagement ring bought online can often be of better quality than one which is store-bought. By working out your budget and how much you can reasonably afford, you show your partner you are serious and dedicated to the relationship. Sure, you may need to cut down on extravagances and spending in the months leading up to the proposal, but there’s no need to risk your financial security. Consider planning how much you can save each month and how quickly you want to propose. But remember, marriage is a lifelong dedication, so there’s no rush. It is often worth waiting a little longer to propose, giving you time to save for and find the perfect ring. 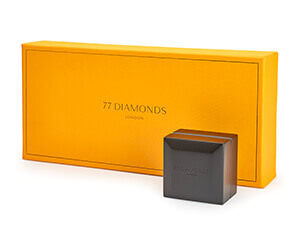 But if time is of the essence, remember that online stores like 77Diamonds can beat high-street prices by up to 76%. 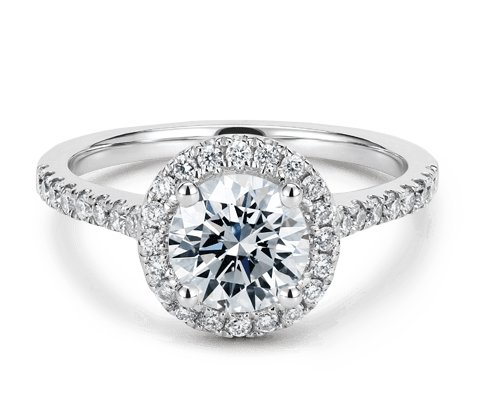 With no expensive storefront and an innovative yet ethical approach to sourcing their diamonds and materials, you can take advantage and find cheap diamond engagement rings. The second consideration you should make about how much to spend is your partner’s expectations. These should align with your budget. Be sure to find a balance. A diamond ring that is too extravagant may cause worry. One that is too cheap will indicate a lack of preparation. Finally, and arguably most important, is what the ring means. There are various styles and designs which symbolise different things. If the ring can be linked to a special event or memory, then even better. 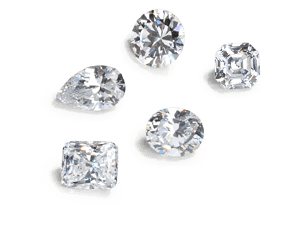 Be sure to check out each category, from halo and solitaire diamond rings to trilogy. It is also worth considering a bespoke design. Whatever you decide, don’t feel pressured into spending more than you can reasonably afford. On the other hand, if money is not an issue then you can find incredible engagement rings which will dazzle and glimmer – showing your partner just how much they mean to you. Check out our Celebrity Engagement Ring Trends and find out what style of diamond ring your favourite celebrity went for and how much they spent, including where and when they proposed. In the UK, diamond engagement rings are worn on the same hand and finger as wedding rings – the fourth finger of the left hand. This is common around the world too, in the USA and most European countries. The reason the ring is placed on the fourth finger – the one next to your little finger – is because of tradition. The Romans believed that this finger had a vein which ran all the way to the heart. This was called the Vena Amoris – the Vein of Love. After marriage, most people continue to wear their engagement ring, usually on the same finger. During the marriage ceremony, the engagement ring should be swapped to the fourth finger of the right hand. After the ceremony, the engagement ring is then placed back onto the left hand, on top of the wedding band. How do you find out what size ring your partner needs? The most common and best method is to ask your partner’s friends or family to subtly find out the size for you. If this doesn’t fill you with confidence, consider borrowing one of your partner’s rings and working out the size from there. If you can’t find out the exact ring size, get a measurement of the circumference of the ring finger in millimetres, then use our ring size chart to get the UK ring size equivalent. 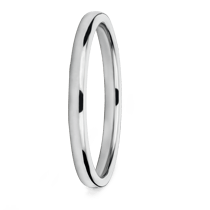 If subtlety is not a requirement for you, get in touch for a free ring sizer to be sent via post or book an appointment at our showroom. 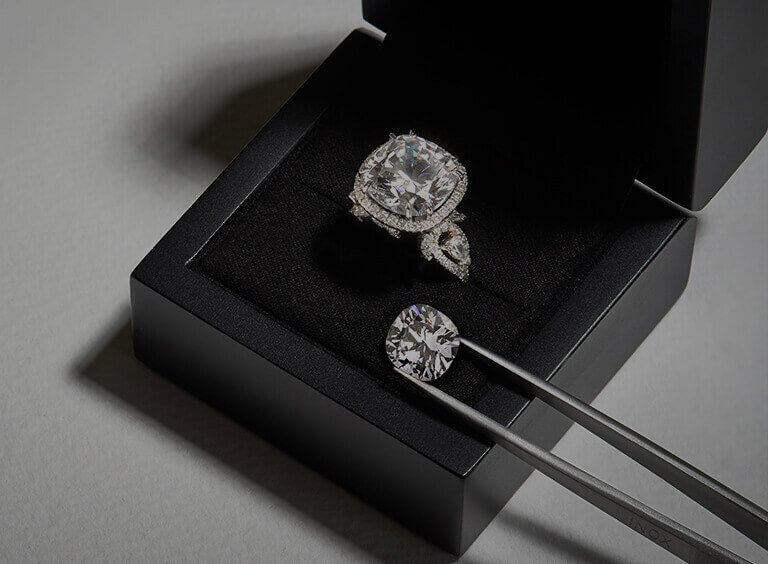 As mentioned earlier, your budget is one of the most important considerations when choosing an engagement ring. However, this doesn’t leave you without choice. Because engagement rings usually feature a diamond or gem, they are usually more expensive than wedding rings. This means you’ll want to make sure you’re getting the best deal. By choosing to shop online for an engagement ring, you can often find one much cheaper than it would be if bought in a store – often with savings of up to 76% compared to high-street jewellers. That success is down to the passion of each and every member of our team. This has fed down from founders Tobias Kormind and Vadim Weinig, who both grew up in families involved in the trade. From ethical sourcing to expert production, their knowledge and passion is shared company-wide, ensuring the highest levels of quality. With such an important decision ahead, it’s always worth speaking to an expert. You can book an appointment in our London Mayfair, Manchester or Frankfurt showrooms, or use our contact page to arrange a phone call. 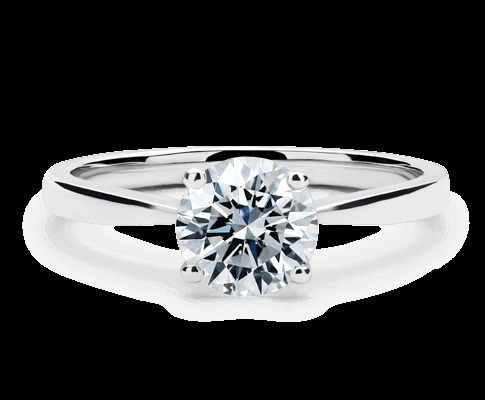 Whatever your requirements and whatever your budget, we’ll be able to help you find the perfect diamond engagement ring.